There are not many Meditations which touch me on a Deep Spiritual Level but I just sat for thirty minutes and did probably one of The Best Meditations I have ever done to Open Up. Like most of you, I have my personal Method of Opening up to Spirit before I work. I have been using the same Method with a Few Additions for the last few years. It is sometimes good to try something New. My dear friend Rachel Keene, very kindly sent me her New Meditation Called Opening Up To Spirit what a wonderful guided Meditation which has introduced me to some excellent and New Methods of Connecting with the Higher Realms and Preparing me to Work. I will definately be using this next time I Demonstrate or when I prepare to do a Mediumship Reading. Well done Rachel, keep them coming we all need this kind of Guidance in our Development. Spring is fast approaching, I can feel it in the air today. I woke with the energy high and feeling it was time for a clean Out of my old clothes and items which are on longer needed or desired. The sun was shining outside as I began to go through my belongings. I also cleaned the wardrobes and cupboards. This felt wonderful after I had completed the task, so refreshing but also very energising. The action of Spring Cleaning also allows for the movement of energy once again. Things will flow better and life starts to move forward. Now if the action of spring cleaning our home has such a positive effect on our lives, image the effect of having a Psychic or Spiritual Spring Clean. It is the perfect time now to clear out old ways of working which perhaps no longer serve you. Perhaps its a great time change the way you Work or Bring in new methods and ways of working Spiritually, perhaps learn a skill. Work with a different product or tool, take a course in whatever subject really interests you. 1. Begin with your physical body. Purify your system with vegetable juices and spring water instead of tea & coffee. Just try it for a week and see and feel the difference. 3. Re-Assess how you work spiritually. 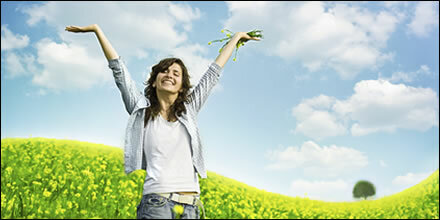 Are you in a rut or do you need to re-fresh your wonderful abilities? Do the tools you use still work for you as well as they did before? 4. Throw away any psychic tools you have not worked with in the last 2 years. 5. Learn a new skill. Perhaps you wish learn something new and introduce this into your spiritual work. 7. Perform a Spiritual House Cleanse. This should be done every few weeks or months. 8. Have you been thinking of starting a new form of exercise? Now is the time to start. Kundalini Yoga is fantastic for increasing clairvoyance by stimulating the Pituitary Gland. This exercise also increases intuition and brings fresh blood to the brain and glandular system. 9. Perhaps have a spiritual assessment to see where you are in your development and where your unique abilities lay. 10. This is also a great time to set goals for the months ahead. Try to use this time positively as much as you can. We are now coming out of the sleepy months of winter which are used to plan, plant seeds but not to take action. Now we are in the beginning stages of Spring the action begins, so lets get started n ow! Do not delay do It today…There is no time like the present to make things happen for ourselves. Set procrastination aside, and do the best you can to implement some: if not all of the tips outlined above. Above all have fun and enjoy what you do especially now as we enter this wonderful year. Time is on our side as we are still at the beginning of the year. We have plenty of time to bring about the changes we want to have in our lives. 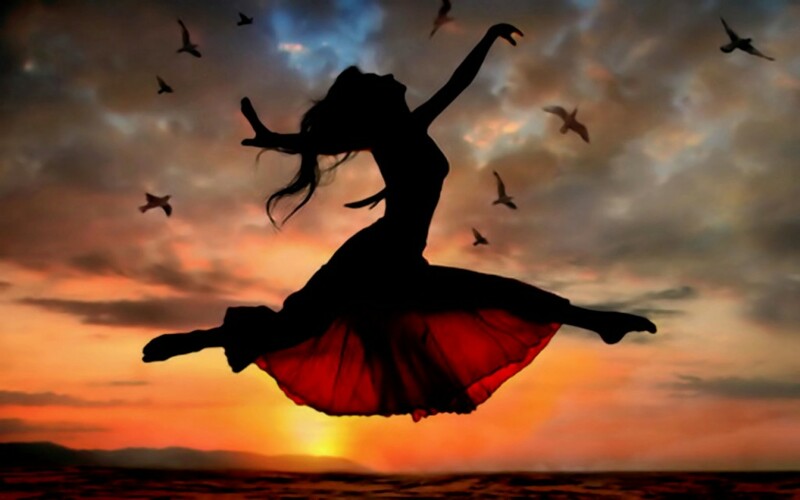 The changes which will ultimately allow us to awaken, feel happy and content. 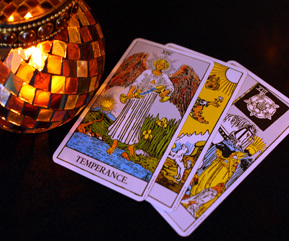 I have worked with the Tarot now for many years and can be an excellent tool when delivering a psychic reading. When conducting a reading you may wish to consider if you will work with tools such as the Tarot of work hands free ( Without Tools ). When choosing a Pack of Cards to work with it is best to allow your intuition to guide you and feel the energy of the cards. Are you drawn to them or not? Do not allow others to persuade you, as what works for them may not work for you. Get a feel of the Cards. Do you like the name & appearance? Often those of you are very visual will work best with beautifully well illustrated images and vibrant colours. Go with your Intuition and initial reaction when you first glanced at the cards and go with It. If you are able have the cards in front of you run your hand over the cards to feel their energy.. Does it feel right for you? Do you feel anything at all? I have worked with Two Decks and My Favourites are The Gilded Edge & The Legacy of the Divine Tarot. If you are new to Tarot & Oracle Cards you may want to start with something more basic such as The Rider Waite Deck or maybe the Oracle Cards would be right or you if you have not been taught the Tarot by a professional. When you finally chose your new deck of cards you will need to program them to work for you. Take the cards out of their box and Hold say to ‘Hello’ To Each Card Individually by turning each Card over the Saying ‘Hello’. Then take the cards in your left hand and program them. Tap on the pack to knock any energy out of the deck which may have been picked up during handling and packaging. We do not need negative energy in the cards. Then light some incense and cleanse the cards by waving the Deck through the Incense and say some Words to Program them for you. Once you have read the book which comes with the cards once, discard and do not use it again. Try to work with your cards by reading them intuitively. You now need to activate your cards to get them to speak to you. The Tarot is a Magical Art and your cards need to speak to you before you can work with them. Where Do I Take This Now I have My Cards? Once you begin working with Cards whether it is a Tarot or Oracle Deck you may wish to Commence some training so you can then read for others and really understand your cards. You may decide that actually you are quite content to simply consult the cards for your own personal use. Whatever you decide you are now on a very exciting an amazing path, you have opened the door to the psychic & spiritual world. You may find that your natural curiosity grows over time and you develop a natural Desire to learn more. Enjoy your cards and take good care of them and they will work for you. Keep them in a nice pouch especially designed for cards. Cleanse them in the full moon & incense. Don’t forget to knock the energy out of them between clients. Do this by holding them in your left hand and tapping on the cards to remove any negative energy and re-fresh them, I also blast them with white light in my minds eye. This way your cards will work well for you and the more you work with them the stronger the energy and link will be. Above all have fun and enjoy the cards whichever ones you choose. I have an online 6 week Tarot course starting on the 8th January 2019. This consists of videos, worksheets, meditations delivered to your email address each week. This is an excellent course for beginners/ intermediate level or for those who already use cards perhaps you would simply like to learn more about them, perhaps you only use a couple of spreads and wish to know more, and how to go more in-depth with your readings to delivery more detailed information to your clients. This course will deliver all you need where ever you are on your journey with the Tarot. It is also a super way of increasing and awakening your connection to the cards & so enhancing your intuition and psychic senses.